The first of the All Ireland Senior Hurling Semi-Finals takes place this Sunday. NHL champions Galway take on reigning All Ireland Champions Tipperary in an eagerly anticipated tussle. Hawkeye Sidekick looks at both teams and wonders if this Galway’s time to deliver. The often used cliche but I think one that resonates ahead of this tussle. A settled Galway back line against a Tipperary back line where adjustments in the full back line are required. April’s NHL final between the two sides illustrated Galway’s work rate, physicality and ability to stem the Tipperary forward line threat. Quite a few articles immediately after the game cited Tipperary fatigue on this occasion but if you recall the All Ireland Semi-Final last year, Galway’s back line were well on top for around fifty-five minutes of the contest only for class moments of brilliance from O’Dwyer and John McGrath to wrestle the game away from the Tribesmen. This Tipperary forward line are so potent and their displays against Dublin and Clare emphasized their movement and quick ball distribution. Bonnar Maher is coming on form at the right time of the season. O’Dwyer, McGrath, Callanan are incredibly dangerous players and any space and time will be punished. Galway need to be on point with their defensive work throughout; any lapses will be pounced upon. The Galway back line has a more settled look to it. There are question marks on squad depth though if one or two of their regular backs have to be withdrawn due to injury. Greg Lally aside, other defenders on the bench have not had significant game time in this championship season. If injuries do happen to Galway, it will be interesting to see how management react. However, the Galway back line as an unit have being extremely cohesive. Daithi Burke continues to impress at full back; decisive under the dropping ball and cleaning up on the ground. Callanan in goals has being unerring behind his full back, exceptional shot stopper and puckout strategy on point. Mannion and Tuohy are capable corner backs. Tuohy will be assigned various man marking jobs on the day. The half-back line has being excellent. McInerney, Mannion and Harte have provided dominance under the dropping ball and provided quality distribution to the likes of David Burke and Joe Canning to instigate attacks. No glaring issues defensively so far but McInerney will face Bonnar Maher who sets the tone for Tipperary. If Bonnar starts well, then Tipperary could be in for an excellent afternoon. The Tipperary back line has had issues, no way to sugarcoat it. Cathal Barrett, the standout corner back has being out injured. His absence has being missed given the display against Clare where the full back line struggled for cohesion and under the dropping ball. James Barry’s switch to corner back did not work; his position is central and a return to full back may be required. Donagh Maher was excellent in the full back line; his battle with Conor McGrath was a game highlight. Sean O’Brien or Michael Cahill may be drafted into fill the other corner back spot. I felt sorry for Hamill at the full back position, a role he is not used to playing, plays more in the half-back line. Hamill was indecisive in the aerial exchanges and was then exposed in no man’s land as a result. Tipperary management have had questions to solve in the full back line. It will be interesting to see what they come up with if Barrett is out of the equation. The Tipperary half-back line has grown in confidence in recent outings starting with Westmeath and Dublin performances. The Clare contest really highlighted the Tipp half back line dominance in the air. Clare goalkeeper Andrew Fahey was forced to strike ball to his half-back and midfield areas which were gobbled up by Tipperary such was their dominance in the half-back line. Padraic and Ronan Maher will look to continue this rich vain in form. Seamus Kennedy most likely will start on the other wing. The return of Glynn to the Galway panel suggests that the Ardrahan clubman could be brought into the mix to unsettle this facet of play if Tipperary have dominance. Intriguing match-ups and tactical battles in this area of the pitch. The Tipperary goalkeeper situation is also an area of discussion. Gleeson and Mooney have started matches in the championship. Mooney could hardly be faulted for the Clare goal concessions but puck-out strategy has become a prevalent theme in this year’s championship. Both keepers have excellent distribution so it will be interesting to see who fills the number one jersey; another selection headache for Tipperary. The midfield battle will be a highlight on Sunday. Michael Breen and Brendan Maher will lock horns against David Burke and Johnny Coen (most likely). Maher and Burke will look to game manage, distribute ball quickly into key target men in the attack. Breen will look to make runs from deep to get involved to score from play. Coen will look to track those runs and also provide defensive support to the Galway back line. 50/50 call in this line. The start of the week; I am already excited on this fixture. The big unknown is Tipperary defensively. Have the Tipperary management provided answers to the clear issues in the full back line? If they have, then Tipperary have an outstanding chance but with Barrett’s absence could be critical particularly with the attacking threat posed by Galway inside with Niall Burke, Conor Cooney and Cathal Mannion looking to expose any issues defensively. Slight edge to Galway right now (two / three points) given their assured route to this stage. Questions will be posed by Tipperary with their forward line play to Galway and will memories of the last ten minutes from last year’s fixture come back into Galway players heads? It is enthralling to anticipate. Galway will be favorites to progress but Tipperary are coming into this with momentum built in recent. Expect fireworks. Round Four games are now in the books. Kilmallock retained their 100% record with a hard earned victory over Ahane. Patrickswell went on a scoring blitz to account for Monaleen at the Gaelic Grounds yesterday evening. Hawkeye Sidekick reflects on the action and picks out the other senior club results. I arrived to the Limerick GAA HQ around twenty-five minutes into the Patrickswell / Monaleen game. The scoreline I thought was a misprint as the Well were 3-11 to 0-06 in front. A quick chat with some fans already assembled informed me that it was not a misprint and the second half proceedings indicated as much. Three goals from Barry Foley, Lar Considine and Thomas O’Brien had the game wrapped up before I arrived (thanks to the supporter who was tallying the scores beside me). The scoring difference is now so pivotal in SHC Group 2 particularly with Patrickswell, Na Piarsaigh and Adare now all level on points. Scoring difference is going to be huge and the final round of games will determine the 1,2 and 3 in the pool group. Adare’s win over Na Piarsaigh was the game of the weekend. Adare narrowly were beaten by Patrickswell in the opening pool round. Three teams who are evenly matched. The online comments on the game look like it was a superb, exciting contest. Patrickswell still have scope for improvement. Eighteen wides tallied during the hour of play but management will be happy with the superiority shown in the key areas. Monaleen tried hard throughout but it was tough viewing in that second half. The game was over as a contest and it was unfortunately a matter of how many Patrickswell would win by which was uncertain until the final whistle. The final round of games in Group 2 sees Patrickswell play a Cappamore side who narrowly beat Knockainey by two points who face Na Piarsaigh and Adare will face off with Monaleen. The calculators will be at the ready come the final whistle of those encounters to determine pool positions. The pool was always going to play out in this fashion. It was unfortunate for the newly promoted clubs to senior Monaleen and Cappamore to be face the likes of the Well, Na Piarsaigh and Adare who are serious championship contenders and the results unfortunately have gone to form. Knockainey have also struggled in the pool. Kilmallock and Ahane was a closer affair. Ahane battled hard throughout but I was really impressed by Kilmallock’s movement and first touch throughout. The scoring in the first half was eye-catching; believe eight different scores, fourteen points from play in that opening period. Ahane responded in the second half with a determined performance. Tom Morrissey rattling the net for Ahane to raise hopes but Kilmallock were always that bit ahead on the scoreboard and you never felt that they would lose the lead. Ollie Moran came on as a substitute for Ahane, showed well again in the open exchanges. What a servant to Ahane Ollie has and continues to be. He is in fantastic condition. Kilmallock calmed the storm after Ahane’s goal and won with six points to spare. They are a team which will take seriously stopping. Exciting end to Group 1 potentially. Ahane need to beat South Liberties and hope that Doon can do them a favor by beating Ballybrown with significant scoring differential to boot. Tall order but all to play for until the final whistle. Kilmallock and Doon are already through. My retweet on Ahane sparked a bit of a reaction on Facebook in Ahane circles today. I questioned the talent coming through at the hurling club; was put in my place pretty lively on a couple of points. The current Limerick U21 captain is Tom Morrissey – obvious check. Two minors in the starting lineup — check. Several other minors chomping at the bit to get into the senior panel — check. Duly noted to the lads who responded to the post; guys that I have huge respect for during my time at the club as players and individuals. Apologies. Frustrating night. Ahane worked hard but lost to a better side on the night. Hopefully, the side will get through but last night was a blow to championship progression, no doubt about it. Hope the retraction will end the matter now. My time at Ahane GAA as a player concluded in 2001 when I moved to Boston and then back to Galway where I attempt to see as many Ahane senior club games as possible. I was not a standout player, first one to admit that but do love the club and what it did for my youth. Outstanding people down at the club and Newgarden. Looking from the outside in and crawling the social media hubs, great work is going on at the club but there were comments around me in the Mackey Stand on how strong the talent in the club was when Ollie was introduced? The comments were from people not connected to the hurling club. If I was home more often to the individual concerned, I would have seen the progress going on in underage as highlighted today. Given the comments of those who responded, thanks for setting the record straight. Retraction hopefully accepted. We now know all the teams who will feature in the All Ireland Quarter Finals. Monaghan and Armagh advance after stern examinations from defeated provincial finalists Down and Kildare respectively. Hawkeye Sidekick reflects on the action. The eight point margin of victory for Monaghan at the end of this contest belies the opening period exchanges. Down started the game with vigor and with Harrison and Johnston inside causing problems for the Monaghan full back line, the Mourne County led by three points deservedly. A sitter missed by McKernan were pivotal. The Farney County needed to respond and the goal scored by Kelly was pivotal. It was a super goal and it laid the foundations for a thoroughly professional second half performance and with talisman Conor McManus hitting points from all angles, the result slowly but surely went away from Down. Down were unable to compete with Monaghan’s energy and work rate in that second period. Defensive holes were gaping as soon as the forty minute and Monaghan knew it was their time to make the decisive break and a couple of well worked points had them five points up midway through the half. It was an advantage that would not be surrendered and with Down looking for a goal, more gaps opened up in the Down back line which Monaghan punished. The qualifiers have seen Monaghan’s confidence slowly build and last night’s second half cameo is the blueprint for next weekend and a daunting fixture against Dublin. O’Connell and Hughes were excellent in that second period and with some valuable scores from McCarthy off the bench, Dublin will know that there are threats next weekend. The sloppy first half performance if repeated will be punished; tight rope in terms of the performance requirements next week for O’Rourke and players. Down exit the competition after a forgettable NFL campaign and only a good run in the Ulster campaign to show for their efforts. Squad depth issues reared their head last night in the second half; fresh bodies were required to make an impact but as Monaghan brought on game winning replacements, Down’s performance descended further into mediocrity. A long off-season beckons. The Leinster Football final plaudits look extremely hollow right now for Kildare management and players. The weak points exposed by Dublin in the provincial encounter were seen last night; sloppy goal conceded from defensive lapses at the end of the opening period was a nail in the coffin. Kildare’s forward line also struggled to make an impact. Flynn had cameos of brilliance but Morgan was sublime in his man marking duties. McGeeney tactically won the battle last night as he setup his side defensively compact and Kildare were unable to get the space and freedom inside to make game winning contributions. Grimley at midfield was excellent throughout, slight edge on Feely last night and he set the platform. Armagh’s decision to hit fast ball inside to their full forward line was a joy to watch at times; some lovely scores and highlighted once again the mercurial genius that Jamie Clarke provides to a football pitch. His poise, balance and ability to kick off either foot keeps defenders totally off-balance. The final ten minutes required composure and ability to hold one’s nerves. Armagh emphatically won those two battles down the stretch, went for the best option while Kildare imploded on shot selection. The big shed again a mental block for Kildare; they had ample possession in the closing exchanges but were bereft of clear decision making. Armagh ran out the clock in the latter stages and their momentum continues to flow. Tyrone will know that they are in for a serious battle next weekend. The wins over Fermanagh, Westmeath and Tipperary have ready solidified management, players and supporters. McGeeney should be given the plaudits for his managerial performance. Kildare will reflect on a championship which showed promise but little rewards. Laois and Meath wins were decent but let us frank facts, the last two fixtures in the championship were the acid test. Defensively at times all at sea in the midst of some superb fast running, distribution to the inside forward line where Flynn is a talent. Feely is an immense midfielder; dominant in the air and his free taking was superb. The question is whether Callaghan and Bolton commit to another season — big experience lost to the Kildare camp if they depart. Cian O’Neill will realize that improvement is required and NFL Division One exposure will improve the side next term. Kildare need to take this disappointment and use it as motivation next year. The Croke Park experience also needs to be looked at; the side have had a miserable record at HQ this season. Three losses from three appearances. Kildare need to mentally toughen and improve their game management; no easy task. An afternoon which saw Kerry advance without showing their hand against a Galway side who were unable to take their goal chances and were unable to deal with the inside Kerry full forward threat. Mayo and Roscommon must do it all over again as the Connacht rivals drew in an exciting but very poor footballing spectacle. Hawkeye Sidekick reflects on the action. Kerry will reflect on this nine point victory as mission accomplished. Quarter finals are there to be won and were first to admit post-game that they need to step up in terms of work rate, tempo and accuracy in the semi-final fixture. 1-18 was a good score considering the precarious underfoot conditions at Croke Park. The turf rework after recent summer concerts left the surface incredibly slick on top and players in both quarter finals today struggled for their footing. Galway fans were very dejected coming out of HQ. There was a sense within the county during the week that the team would give Kerry a rattle but there were underlying fears on how they would combat Kieran Donaghy in the full forward line. Those concerns were well founded as Donaghy dominated inside in the opening period, winning multiple high balls and scored a fine goal. David Walsh had a thankless task this afternoon; the experiment or solution (whatever court of opinion you are in) failed. The Tribesmen were devoid of defensive nous to combat the high ball into the full back line. Walsh was not alone in struggling with this facet of play. Kyne was a remote figure and Silke who was supposed to be a sweeper for the full back struggled to win any second ball. The goal scored by Donaghy midway through the opening period opened up a five point advantage. The goal was a killer blow for Galway as they had spurned two goal chances before this opener. Good Kerry goalkeeping but it exposed massive gaps in the Kerry full back line. Kerry were never forced to go into the reserves as Galway’s forward line squandered some easy scoring opportunities. Armstrong after a bright opening missed a regulation free just before the interval. Shane Walsh was unfortunate on a number of occasions in the opening period. The clinical forward play required was at time short for Galway and the second half was a struggle only scoring four points. Galway could not be faulted for work rate. O’Donnell, Bradshaw, Conroy, Armstrong, Daly and Comer attempted to take the fight to Kerry but the Kingdom closed down the space in a disciplined second half defensive display and scored at regular intervals. Jack Savage’s cameo was eye-catching; his work rate and possession count was on point. Paul Murphy was the player of the game personally; possession count, scores from play and involved in everything good for Kerry today. Kerry’s inside forward line were not as incisive as in the Munster football final but Paul Geaney showed well, scoring some lovely points from long and close range. The Dingle native is such a threat. O’Donoghue running off the ball was sublime at times. Buckley chipped in with a couple of sharp scores from outside the twenty-two. Kerry played within themselves and the squad depth closed out the contest with assured performances from Maher, Savage, Young and Murphy. A game that never caught fire. Galway will reflect on a season which secured NFL Division One football next season; the side will come on leaps and bounds next season as a result. The Galwegian natives will ask on the tactics and ability of the players to play more freely but Kevin Walsh has laid solid foundations for further progression. However, whether Armstrong or Meehan are involved in the setup next season is an entirely different story. Kerry advance to the semi-final. Eleven wides is a tally that will need to improve and the side were sluggish at different intervals. No-one remembers quarter finals, victory is the name of the game. Mission accomplished. The last ten minutes of this contest was exciting for the neutral; probably not for the blood pressure for either Mayo or Roscommon supporters. Mayo edged ahead and then Roscommon without a recognized free taker placed their hopes on Donie Smith who produced a sublime long range free to secure the draw. Was this a missed opportunity for Roscommon? Seven points up early doors thanks to an excellent work rate, tempo and incisive passing inside to hit two quick fire goals. Mayo’s full back line were cut to shreds but Mayo to their credit refused to panic and current footballer of the year Lee Keegan provided leadership and scoring nous in the opening period. Not content to man mark Enda Smith, the Westport clubman went up the pitch to score a quick fire 1-2. His goal was typical Keegan; great run from deep, his drive was deflected to the net but he asked the question of Roscommon to defend the situation. The goal settled Mayo down and the two point advantage at the break was just desserts for a dominant last ten minutes. Cillian O’Connor and Andy Moran providing good scores for Mayo and Roscommon were running out of ideas and steam; static players in forward positions not helping matters. The half-time break came at the right time for Kevin McStay and backroom management in that they decided to push Enda Smith into the full forward line, moving the threat of Keegan further away from the Roscommon goal. A smart move and one that Mayo should have counteracted with a switch of marker for Smith with someone like Higgins or Boyle. Baffling stuff from Rochford and Mayo management. The second half exchanges started with Roscommon in the ascendency and they were back level within five minutes of the restart. You hoped that one team would take the mantle of pushing home the advantage but let us be honest, no-one the pitch took the responsibility to make a game winning contribution. The draw was a fair result. The last quarter could be best described as exciting due to the close scoreline but the shot selection and turnover rate was awful at times. Roscommon as an attacking threat inside were now non-existent and it provided Mayo with easy turnover possession in their half-back line. Even six minutes of injury time could not separate both teams who would like another crack at each other next bank holiday weekend. Plenty for both teams to work on and improve. Roscommon showed that their Connacht title was no fluke and created chaos for Mayo defensively particularly in the opening period. Mayo’s experience, composure and refusal to not getting beaten was to the forefront again today. Roll on Monday week! It is the end of July. Guinness Pro 12 teams are well into their preseason preparations ahead of the new season which should contain more excitement with the introduction of South African teams: The Cheetahs and the Southern Kings. In a four part series, Hawkeye Sidekick first looks at the Ireland provinces and sees how they are set for the new season. A new era at the Sportsgrounds with the arrival of New Zealander Kieran Keane who replaces Bristol bound Pat Lam. The euphoria of the 2015/16 season Pro 12 triumph is a long distant memory as the team struggled to get into the playoff mix last season with early result reversals and then news of Lam’s departure midway through the season. The province need a new face to come into the setup and shake things up. Keane glancing at his resume looks like he will fit well with the province with expansive style of play coaching in his forte. Players will need to prove themselves again and the battle for squad berths should be interesting in the coming weeks. The Connacht Academy has provided several keynote players in recent years so it is no surprise that three additional academy players get their chance with professional contracts. Brennan, McKeon and O’Toole will bring enthusiasm to the squad but they will be a work in progress this season. The key acquistions are Gavin Thornbury from Wanganui and Jarrad Butler from the Brumbies who can play multiple positions in the pack. The Connacht squad said goodbye to a number of long serving players who have being loyal to the province through thick and thin. Ronan Loughney, Danie Poolman were released along with Shane O’Leary, Rory Parata, Nepia Fox-Matamua, Ivan Soroka and Rory Moloney. Player departures within provinces saw John Cooney move to Ulster; prompted by the move of Pienaar to France. Ben Marshall, an exciting prospect was forced to retire while Danny Qualter moved to Nottingham in a bid to get game minutes. Lewis Stevenson made the move up north joining up Bangor in a coaching role while Josh Rowland was signed to the Ireland Sevens side. The side looks still weak in the half-back options. Bosch was injury plagued. Cooney is gone to Ulster. Minimal options for Keane in the scrum-half and fly-half positions so would expect more SH moves towards the end of the year. The pack looks decent with the likes of Bealham, Dillane, Muldoon in the ranks. The back line has genuine pace but Aki needs to stay at the club and also stay match fit to establish an attacking platform. Connacht’s squad depth may be tested if there is a repeat in the injury toll like last season. The academy player pool will then need to fill the void left and this is an arduous task for any youngster. Connacht for me will be a work in progress next season. Top six is optimistic; top eight potentially the aim truth be told. A season which was going so well for Leinster last season fizzled out in the last five weeks of the season. The defeat to Clermont was a devastating blow; a game which Leinster will still rue as they contributed to their demise. This loss perhaps was a factor in their dip in performance levels in the Pro 12. A loss to Ulster in the final regular season fixture resulted in a semi-final tussle with an in-form Scarlets who won with plenty to spare despite playing with fourteen players for three quarters of the contest. The end of season dip will something that Leo Cullen and Stuart Lancaster will look to address this season. The season was pretty positive with the emergence of several young players such as Eric and Adam Byrne and Dan Leavy, The team played with purpose and intent throughout early and mid-season with a comprehensive win over Munster at the Aviva and then a 100% record during the RBS 6 Nations phase of the tournament. Indigenous academy players form the majority of new signings as Andrew Porter, Ross Byrne, Joey Carbery, Nick McCarthy, Rory O’Loughlin, Peader Timmins and James Ryan securing their first professional contracts. Carbery is such a talent; versatile in playing fly-half, three quarters and full back. His game management is a work in progress but the talent is there; exciting times for the province and national side with this player. The key acquisitions come from Australia with Scott Fardy and James Lowe joining the team. Fardy’s inclusion will be intriguing to see how the player fits in given the strength in depth in the back row positions. Fardy conceivably could be a second row option so it will be interesting to see how that goes. Lowe is an accomplished player, should fit well in the Leinster system. Nice signings particularly when the Leinster players go away on international duty. There has being experience lost in the dressing room. Zane Kirchner departs for the Dragons. Mike Ross owes nothing to the Leinster jersey and retires with his reputation as a solid, reliable prop assured. Hayden Triggs retired; a player whose candid interviews made him a firm Leinster fan favourite along with Mike McCarthy whose work rate and abrasive second row play will be missed. Dominic Ryan’s decision to move to Leicester Tigers is a good move for the player, gets to play for ex-Leinster head coach Matt O’Connor. A player who will revel in England but Leinster have sufficient coverage in the back row options to negate the loss. Best of luck to Ryan on the move! Leinster’s squad depth is the best in the league (among the Irish, Scottish and Welsh teams). Leinster will look to continue their form from last season but game management tweaks may be required this season as opposition started to read their attacking lines with more conviction at the business end of the season. How best to describe the off-season for the men in red? Chaotic would be kind as the swirl in speculation and then confirmation of the departures of Nienaber and Erasmus back to South Africa at the end of the year was confirmed. Felix Jones looks primed to take on the head coaching duties in 2018 and it will be interesting to see how results go at the start of the season. A good start to the season and Munster can allow Jones to settle into the role. Otherwise, pressure for results will be instant and a struggle to reach the top six may ensue. Munster have a challenging season ahead of them given these circumstances. Like Leinster and Connacht, indigenous academy players form the majority of senior squad additions. Most players have featured for the first team last season with Oliver, Scott, Johnston, Goggin and Fitzgerald all involved in match-day squads. Oliver was a standout last season along with Goggin. Oliver back row play, his speed at the breakdown and pace with ball in hand were major assets to the club last season. Goggin at three quarters is an exciting prospect; his ability to pick a gap and his game management decision making is sharp given his lack of senior squad experience. The key acquisitions arriving to Munster are Chris Farrell, an imposing three quarter who played with Grenoble last season. JJ Hanrahan comes back to the province after a hit and miss period with Northampton and then Cloete and Grobler arrive to Munster with excellent resumes. Erasmus probably had a key hand in the capture of Cleote and Grobler whose cameos on video look impressive. The departures were significant to the squad. Donnacha Ryan leaves for Racing 92 and is reunited with Ronan O’Gara in the coaching staff. Francis Saili, a popular figure in the Munster squad departs for Harlequins. His loss is offset by the emergence of Farrell and Goggins with Taute retained this season. Mark Chisholm and Cian Bohane were forced to retire; a terrible blow for both players. McCabe leaves for Connacht hoping for game time minutes. Rory Burke leaves for Nottingham. Dave Foley departs Munster after a frustrating last two seasons, plagued with injuries and moves of Pau reuniting with Simon Mannix and Paudie Butler. The emotions of last season and the death of Anthony Foley was keynote; drove the team on and the league and European Cup progression were not expected given the struggles in 2015 / 16 season. This season potentially is an arduous task; the management departures midway through the season. A top four spot is the objective; should be achieved with the squad depth in place. The concern is the management direction in 2018 and when results do not go according to plan. An intriguing season awaits and probably the province where most eyes will be focused on. The arrival of Gibbes to the coaching ticket will bring new energy and focus to a squad who quite frankly underperformed last season. The squad depth is strong; skill set is excellent but performance inconsistency in different parts of the season proved fatal to Ulster’s chances of Pro 12 / European Cup progression. The key departure is the scrum-half talisman for Ulster: Ruan Pienaar. The South African did not want to leave the province; his BBC NI documentary showed how much the player and his family loved life in Belfast. IRFU were wrong in this player personnel issue; the player still had plenty to offer in the province and with no discernible scrum-half talent coming through, the decision to move on the player was wrong. Pienaar’s poise, game management and kicking off the tee / with hand was immense. He helped Paddy Jackson no end in games with composure. A player who leaves a massive void. John Cooney arrives to Ulster but the talent comparison between those two players is unfair on Cooney. Pienaar is world class. Add Pienaar departure with the decision of van der Merwe moving onto Cardiff Blues means that there is a loss in leadership in the squad. Van der Merwe was the pack leader last season; orchestrated the set piece with Rory Best and led by example. Henderson will now take on the mantle but the squad depth issues in the second row could be exposed in international fixture periods of the season. Roger Wilson is also a major player loss to the squad. Wilson owes nothing to the Ulster jersey and retires with his reputation as being a superb, athletic and ball carrying eight assured. Three key departures from the playing panel; interesting to see how the rest of the squad respond to the leadership loss. Several fringe players depart the Kingspan Stadium. Conor Joyce and Mark Best leave for Jersey. Jonny Murphy to Rotherham. Donnan, Dow, Lutton and Mulholland were released from their contracts. Ten players leaving the squad. The arrivals in comparison are understated. Cooney will add scrum-half depth but is not in the same level as Ruan Pienaar. Schalk van der Merwe comes to Ulster with a good reputation and Jean Deysel showed in his Munster stint of his power and abrasive forward play in second row / back row exchanges. Several academy players climb to the professional contract ranks; Busby, Cairns, Kane, Lytlle, O’Hagan and Owens. Given the on-going PSNI investigation of Paddy Jackson and Stuart Olding, the two players are now in sabbatical mode. Two major losses to compound the loss of Pienaar so it will be interesting how Ulster counteract these losses in the early season fixtures. A good season star t is pivotal and a lot will hinge on Best, Henderson, Payne and Bowe for leadership. Gibbes and the pack will be a work in progress; expect Ulster to come on strong in the second half of the season but how much ground they lose in the early season will determine how well they fare this season. It will be a busy weekend on the Gaelic Football front. Two qualifiers on Saturday to see who will face Dublin or Tyrone in the last eight of the All Ireland. Sunday sees Kerry take on West Coast rivals Galway and Mayo lock horns against Roscommon at Croke Park. Hawkeye Sidekick previews the action on the All Ireland Senior Football qualifiers first. A fascinating rematch between two Ulster foes. The Ulster semi-final result was a surprise to many pundits as Down deservedly beat Monaghan with a performance full of work rate, defensive organization and ability to score counter-attack points at the end to earn an Ulster football final spot. The Ulster football final was a most disappointing performance from Down. After a promising opening period where they missed a glorious goal scoring opportunity just before the interval, the side’s performance deteriorated rapidly in the second half as Tyrone’s running game created massive holes in Down’s defense. Down’s attack also struggled to cope with the defensive pressure exerted by Tyrone who hunted in packs and were disciplined in their tackling often winning possession in the process. The key to this weekend is how badly impacted has Down morale being hit after the Ulster final loss. Two weeks to pick themselves up and a trip to Croke Park, a venue which has being kind to the county in the past. They have beaten Monaghan in the championship this season so confidence will be reasonably high. For Down to win, massive performances and leadership will be required from the likes of McKernan who will look to bounce back from a needless black card in the Ulster final, Mooney whose attacking play from half-back is a real asset and the Johnston’s inside to provide the scoring threat required. Monaghan come into this qualifier with confidence somewhat restored after that shock loss to Down in the Ulster semi-final. The performance was flat for periods and attacking play was ponderous and wayward. Conor McManus is still the focal point for this side, an amazing footballer who will continue to take on the main scoring responsibilities. Kieran Hughes at midfield is a player who continues to grow; immense talent, ability to take a point and his work rate in defense and attack is a joy to watch. The passage to this point has seen an emphatic victory over Wexford and a hard earned win over Carlow which was a banana skin. The late surge to beat Carlow was impressive as Monaghan held their nerve and composure to close out the contest. A win which should give the side and supporters confidence. The side are battle hardened. Tempo and work rate will be key for Monaghan at the weekend. They will look to squeeze out Down’s attacking threat and counter-attack with pace and speed. Forward line movement will need to improve and perhaps quicker distribution from the foot and not the hand pass should be considered to provide more questions for Down to answer. This is a close game to call. I think the Ulster final loss exposed weak points in Down’s game plan. Squad depth was also exposed in the second half. Monaghan will have revenge on their minds and their ability to right the wrongs of the provincial defeat to their weekend opponents. Tentative nod to Monaghan but I do not expect to be much between the sides. The contest potentially will be dour at times but Monaghan have their ace in McManus to call on to secure victory. Monaghan by four points. No motivation required for either side as ex-Kildare football manager Kieran McGeeney faces his former team at Croke Park. This is a game which should produce fireworks. Both sides have shown plenty of promise in recent outings. Kildare may have lost to Dublin in the Leinster final but there was a lot of positives for Cian O’Neill to dissect. The team’s resiliency was tested as their response to a shocking open ten minutes was admirable; yes, they were always at arm’s length of Dublin but Kildare refused to roll over and hit an impressive 1-17 against the reigning All Ireland champions. Several players came to the party with Flynn, Slattery, Feely and O’Grady all having good moments. Kildare’s Leinster campaign also showed promising signs with emphatic wins over Laois and Meath. Their free scoring approach to game where speed, tempo and quick distribution to the inside forward line has being quite evident. There are promising foundations for O’Neill to build on in future seasons with the squad profile littered with young players to complement veterans such as Callaghan and Bolton. NFL Division One football next season will only bring on this team more. Momentum is a key term when dealing with the football qualifiers. A team who have exited the provincial championship early but then find form in qualifier wins. Armagh are that team. They had a disappointing NFL Division Three campaign; pipped for promotion by a last gasp Tipperary goal. An early Ulster exit to Down increased pressure on Armagh and McGeeney but the team have responded with superb performances. Their win over Tipperary showed to everyone the threat and skill of Jamie Clarke. The Crossmaglen star stood out for Armagh in the second half and his goal was sheer class. Armagh’s showed guts and determination to get that result in Semple Stadium and Kildare realize that they are facing a team high on confidence. Armagh’s physique is outstanding and the conditioning battle will be intriguing between the two teams on Saturday given the manager’s backgrounds. The Armagh defense will look to close the space on the Kildare forward line to operate in and look to control the tempo of play with controlled possession. Armagh need to involve Clarke with early ball in and if this happens, Armagh could be in for an excellent afternoon. Another 50/50 call on this fixture. Both sides will not want to give an inch. A slight edge to Armagh on this one given their recent qualifier outings. Kildare have to show that they can cope with the pressure that comes with playing in Croke Park. Their recent record this season at HQ leaves a lot to be desired with a loss to Galway in the NFL Division Two final and then the Dublin loss which was not as damning. Kildare’s defensive lapses at the start of the Leinster football final worry me and that is why I am giving the edge to Armagh who look more solid, physically stronger and have a player in Jamie Clarke who could produce a match winning cameo at any point. Armagh to edge this by two points. Thirteen days to go and the eyes of the rugby union world will be focused on Ireland as the 2017 Womens Rugby World Cup will kickoff in earnest. An opportunity for Ireland to showcase the enthusiasm for the game and ability to linguistically organize a competition of this stature. It is a competition which will add further momentum to the 2023 Rugby World Cup bid if the tournament is deemed a success. Hawkeye Sidekick previews the tournament. This article will focus on the tournament, the venues and what to expect during the tourney. The tournament kicks off on August 9th and will run until August 26th, a schedule which is quite quick and will test the depth charts of each squad assembled for the tournament. Squad rotation will be absolutely pivotal for teams to advance deep in the competition. Where are the games being played? Three pools. Top team in each of the three pools advance to the semi-finals and will be joined by the best runner-up from those three pools. Bonus point and tries scored could be pivotal in at least two of the pools, namely the pool with New Zealand and Canada and the pool which features host nation Ireland who look to be in a tricky pool with arch rival France and Australia who should be competitive. Pool A contains New Zealand, Canada, Wales and Hong Kong. New Zealand will look to bounce back from a disappointing RWC 2014 tournament where they were sensationally defeat by Ireland in the pool stages. New Zealand and Canada are the form teams in this pool and to be honest their pool match fixture could be one of the best games in the tourney. 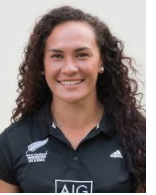 New Zealand have threats all over the pitch with a quality front five, tenacious back row breakdown work and then you have the pace and speed of Portia Woodman. Canada’s final run in 2014 was no fluke, a well organized and drilled outfit. Several players to the fore but Paquin at back row is a superb player. Her power and speed is immense, a valuable asset in breakdown work but also in reading opposition attacking lines. Conceivably, both New Zealand and Canada will advance as pool winner and best runner up. Wales will hope to be competitive in this tournament but the squad depth on two top ranked sides suggests that it will be an arduous task for both Wales and Hong Kong to make any impression. Pool B has the reigning champions in England who are probably the form team heading into this tourney. Impressive wins against New Zealand and Canada in New Zealand last months suggests a potentially fruitful tournament here. 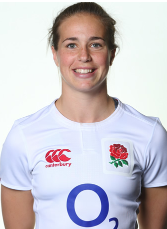 Emily Scarratt is the key focal point for England; her kicking game, ability to game manage at center has being to the fore. Her ability to identify mismatches will ball in hand will be a joy to watch. England are joined in the pool by USA who could be a dark horse given their recent sevens success. Spain and Italy unfortunately look short in squad depth to seriously threaten their other pool opponents. England to advance to the last four with USA hoping results in other pools go their way to get the best runners up spot. Pool C looks the trickiest pool to predict. Host nation Ireland have Australia and France for company along with the exciting Japanese who will look to spread the play out from minute one. Ireland will look to build on an excellent 2014 RWC campaign, reaching the last four. The performance and victory over New Zealand gained national prominence. Ireland under Tom Tierney look well placed to compete for a top four spot. 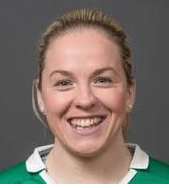 Sophie Spence is a superb second row option and with the likes of Niamh Briggs at full back whose kicking off the tee will keep the scoreboard ticking over. France pose a serious challenge to Ireland; their pack is abrasive and strong. The head to head record between Ireland and France has being 50/50 in recent seasons. 13-10 victory last season tells you all you need to know about how close these two sides are. Australia are an unknown quantity; a mixed lead up to the tournament as they were humbled by New Zealand a couple of weeks ago. One would imagine that Australia will improve further in this tournament but defensive gaps and breakdown issues were exposed by New Zealand last month. Japan will be fast and incisive in expansive play but one wonders on their pack and squad depth in the second and third pool fixtures. Hesitant nod to the hosts but this pool is too close to call and home support will be required to get the Ireland ladies over the line. Let the RWC tournament begin! The joy and the anguish were in full view this past weekend at the splendid Pairc Ui Chaoimh venue. Wins for Tipperary and Waterford and losses for Clare and Wexford which will irritate for some months to go. Hawkeye Sidekick reflects on the action. Kudos to everyone involved with the redevelopment of Pairc Ui Chaoimh. The stadium looks spectacular; spacious surroundings. There were traffic problems on Saturday approaching Cork City but this was a secondary point given the stadium and sublime playing surface. A venue which will be a main stead for Ireland’s RWC 2023 bid and will host numerous GAA intercounty championship games. Cork City was buzzing all weekend; the bars and restaurants were packed, good atmosphere around Oliver Plunkett Street where I was stationed post-game. If you are going for a gem of a bar, check the Welcome Inn (Creedon’s). Superb entertainment, great hospitality and a savage pint to boot. Michael Ryan’s reaction immediately after the final whistle spoke volumes. Tipperary had gotten out of jail. A performance where the video analysis will paint the good, the bad and the outright ugly. The good news will be the imperious display from the forward line units; some of the scores from open play were a joy to watch. The forward line first touch, movement and distribution were immense throughout. John McGrath (0-06) had an excellent afternoon; his accuracy is relentless. Seamus Callanan, John O’Dwyer, Noel McGrath provided class scores at regular intervals and then you have the work horses of Patrick Maher and Dan McCormick who set the platform with excellent ball winning. The midfield area had their moments of dominance. It was a see saw battle with Clare in this area of the pitch. Brendan Maher’s game management and distribution again to the fore. Michael Breen ran himself into the ground with a lung bursting effort. The half-back line had good afternoons. The fact that Andrew Fahy was forced to hit his half-back and midfield options said everything you needed to know about Tipp’s half back dominance in the air. Kennedy and the two Maher’s were imperious under the dropping ball and their distribution was on point throughout. The bad was the misfiring full back line. During my preview, I had mentioned that the full back line would be given a thorough test given the personnel changes in the unit. The full back line was a mess. James Barry looked vulnerable in the corner back position, full back position is his position. Hamill at full back was exposed in the aerial battle which then resulted in the player giving too much space to Cunningham for his quick brace in the opening period. Donagh Maher was immense throughout; the only shining light in the unit. A superb outing, nullified Conor McGrath and was sharp in his distribution out of defense. Sean O’Brien manfully filled the position vacated by Barry in the second half but it is screaming for a rejig for the All Ireland semi-final. Michael Cahill or Cathal Barrett come into the equation. Does Barrett come back into the fold after the off the field disciplinary issues? A tricky two weeks await Michael Ryan and management defensively. The personnel tweaks have not worked in the full back line and does Tipperary go back to the tried and trusted by reinstating Barrett at corner back and Barry in full back. I am not convinced that they will go in this direction. Interesting team selection beckons. Clare will scratch their heads on how they lost this fixture given the scoring opportunities created, a Tipperary full back line in sixes and sevens under the high dropping ball. Tony Kelly’s substitution still is a baffling call made by Clare management; their talisman worked extremely hard for the side. Yes, the Ballyea clubman was guilty of several glaring shot selections but his work rate and ability to get on the ball on a regular basis surely would have being pivotal in the last eight minutes of this contest. The switch did not make sense. Clare a point down and you would have thought that Tony Kelly would rise to the occasion given the opportunity down the stretch. An opportunity lost for Clare. I had to laugh at Donal Moloney’s post game comments. Phase 1 of the project maybe for the new look management but for this group of player, it is a defining loss in their careers. This group of players (by and large) minus Conor Ryan, Pat Donnellan have being together since the 2013 triumph. The accusation that the team are a flash in the pan is incredibly harsh but look at the championship after their 2013 All Ireland triumph and it does make for good reading for Clare. No All Ireland semi-final appearance at Croke Park with a group of players which with their age profile should have gone on and contended for more All Ireland glory. Gerry O’Connor has being strangely absent on the sideline and on media duties. Wondering what the story is here? Moloney and Donal Og Cusack look to be the main men of the team. Speculation will mount on O’Connor’s role and future within the setup after this loss. Clare will look at a couple of plays before half-time as key momentum changers. The puck-out strategy was exposed for Clare in a quick four minute period. A close contest suddenly had Tipperary open up a five point gap at the break. I think the Sunday Game analysis on the puck-out strategy was spot on; look at what Andrew Fahy had to contend with. A half-forward line who were struggling to win their aerial ball. Corner backs who looked reluctant at best to receive short puck outs. The decision to hit half back and midfield targets was then the option and credit to Tipperary’s midfield and half-forward line to read the strategy. The results were devastating. A season which offered so much for Clare. A new era was the spin coming from Clare ahead of the new season. The shackles were off after the departure of Davy Fitzgerald but it looked like the same setup and style of play deployed during this season. The fact that Clare failed to change the game plan and launch direct ball further into a dangerous full forward line was disgraceful. Tipperary and Cork were there for the taking but poor shot selection and inability to adapt to the change the game plan to expose opposition flaws were hallmarks of the season. Backroom staff tactical tweaks are required. The players have to take their blame on this season as well. A poor season for Clare. The golden Clare hurling generation window is closing rapidly. Disappointing. This was a dour contest. Two teams employing sweeper systems and the only bright spot in the contest was that there was two goals in the contest. The weekend wager that no goals would be scored in the fixture was likely before throw in. Waterford are further down the road in team development; it showed yesterday with the Deise key players coming up trumps while Wexford had indifferent showings from theirs. Brick Walsh set the tone with a superb opening half. His long range point was sublime but his ability to win possession and tempt Wexford to make contact and concede frees was an interesting side note from the contest. O’Mahony was imperious with the placed balls and the scoreboard was ticking consistently through the contest. Kevin Moran (1-03) had another excellent performance. His Cork performance which was below par is a distant memory. The goal was a pivotal moment. Wexford were probably happy with a two point deficit but after a defensive pass back clanger, Moran latched onto the ball to beat Fanning with a ground pull effort. Fanning will be disappointed with the goal; fancied that he would get to the ball first but went down far too quickly, needed to stand tall and ask Moran to make a decision. Great goal for Waterford but disaster for Wexford. Austin Gleeson was again sublime in open play. His ability to run with the sliothar was pivotal throughout; several scores from play and was a constant menace for Wexford throughout. Darragh Fives also had an immense contest; his opening half was on point. A real bonus to Waterford management as was the cameos of Shanahan and O’Halloran off the bench with several eyecatching scores. The squad depth advantage was utilized. The downer was the red card for Tadhg De Burca; a red card which was frustrating to see but the rules of game (helmet indiscretion) was applied correctly. Kehoe blocking the runner sparked the reaction from De Burca who flailed out and made contact to the Wexford player’s helmet. Horgan had to act given the linesman feedback. An appeal is in the offing but the CCCC have to stand firm on this ruling, otherwise the rules can be put in the bin. Unfortunate incident but it was committed, face the consequences. This has being a positive year for Wexford Senior Hurling. Davy Fitzgerald’s arrival has increased media exposure in the hurling team and the county supporters have rowed in behind the team. The limitations of the side have being exposed in recent fixtures but given promotion to NHL 1A, this side will evolve further next season. Ryan and O’Hanlon were heroic for Wexford defensively; cleared numerous ball throughout. Lee Chin worked tirelessly but found attacking opportunities limited given Waterford’s sweeper system and had to go further out the pitch. The defensive setup of the Deise also nullified Conor McDonald who was a non-factor throughout. No genuine goal scoring opportunities created inside in the full forward line where Guiney and Kehoe fought forlorn battles. Aimless distribution did not help matters and the squad impact off the bench was second best to Waterford on the day. Food for thought for Fitzgerald in addition to Michael Duignan and Henry Shefflin’s comments on the sweeper system. Will Davy stay put next season in Wexford? His post-game comments surely have sparked interest in Dublin. Will Dublin look to approach Davy for the vacant senior hurling management role? It is an intriguing storyline in the comings months so Wexford need Fitzgerald to decide on next season as soon as possible.